Polaris, the company which makes off-Road and All-Terrain Vehicles today announced the launch of versatile all new 2016 Indian Scout Sixty in India. The all new 999cc Indian Scout Sixty is promising enough to broadly appeal to new rider segments with a price point which brings the legendary Indian Motorcycle craftsmanship and world renowned Indian Scout performance at the lowest MRP yet for the brand. True to the craftsmanship, reliability and legendary agility of the Indian Scout, the All-New Indian Scout Sixty shares the identical chassis, suspension, brakes and core engine — all mated with a new 60 cubic inch engine. The silky smooth, easy-to-shift 5-speed transmission coupled with the 78 horsepower engine produces a torque of 88.8 Nm at 5800 RPM. The legendary heritage of the Indian Scout is carried forward in the All-New 2016 Indian Scout Sixty. Expertly balanced and lightweight, the bike has won the hearts of bike enthusiasts around the globe. 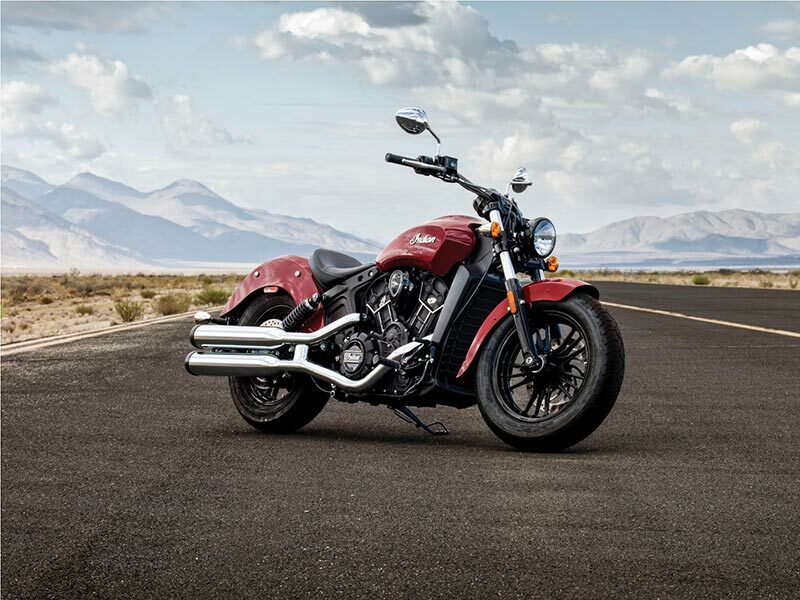 I am quite sure that the introduction of the All-New 2016 Indian Scout Sixty in the Indian market will help us grow in terms of volumes in the fast-growing luxury commuter category. said Mr. Steve Menneto, President of Motorcycles for Polaris Industries. The All-New Indian Scout Sixty expands that reach even further to include newer riders and a younger demographic who long to experience the legendary quality and craftsmanship of an Indian motorcycle. Not shy on performance, the All-New Indian Scout Sixty features a black seat, matching black frame and wheels, and is compatible with the more than 200 accessories already available for the Indian Scout. A seat height of 25.3 inches allows for sure-footed comfort at stops, and the low center of gravity ensures agile cornering, precise balance and overall rider confidence and control. A series of accessories including seats, handlebars and foot peg relocators allow the motorcycle to be tailored to fit each rider, while additional accessories such as saddlebags, wire wheels and quick-release windscreens give owners virtually unlimited freedom to customize their rides. The All-New Indian Scout Sixty will be available in 3 classic Indian Motorcycle colors like Thunder Black, Indian Motorcycle Red and Pearl White color with an expected price tag of Rs.11.99 lakhs (Ex-Showroom Delhi) will be available from July, 2016 onwards.